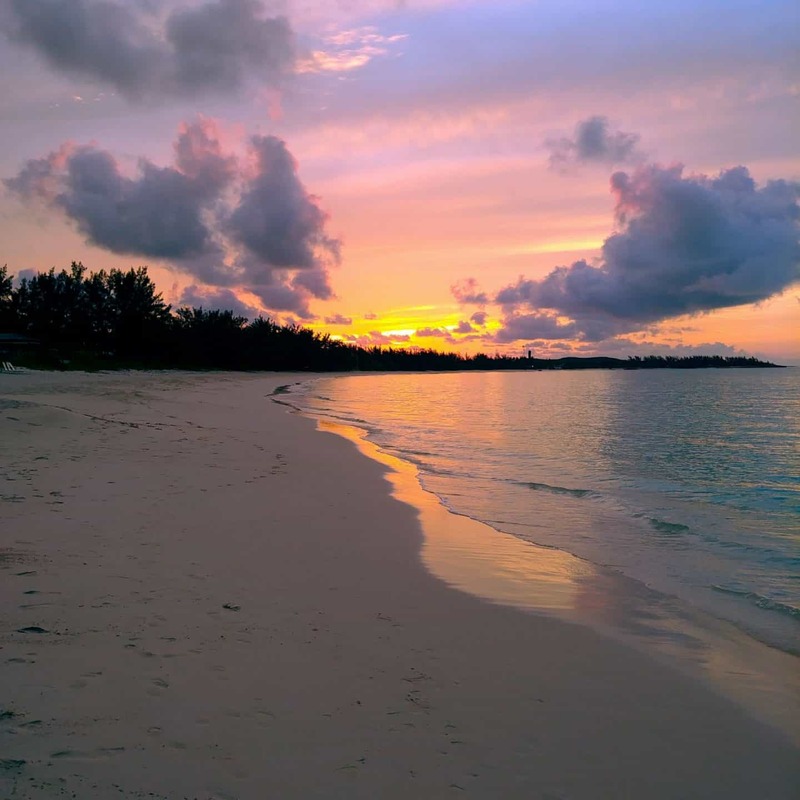 Looking for the top things to do in Exuma Bahamas? 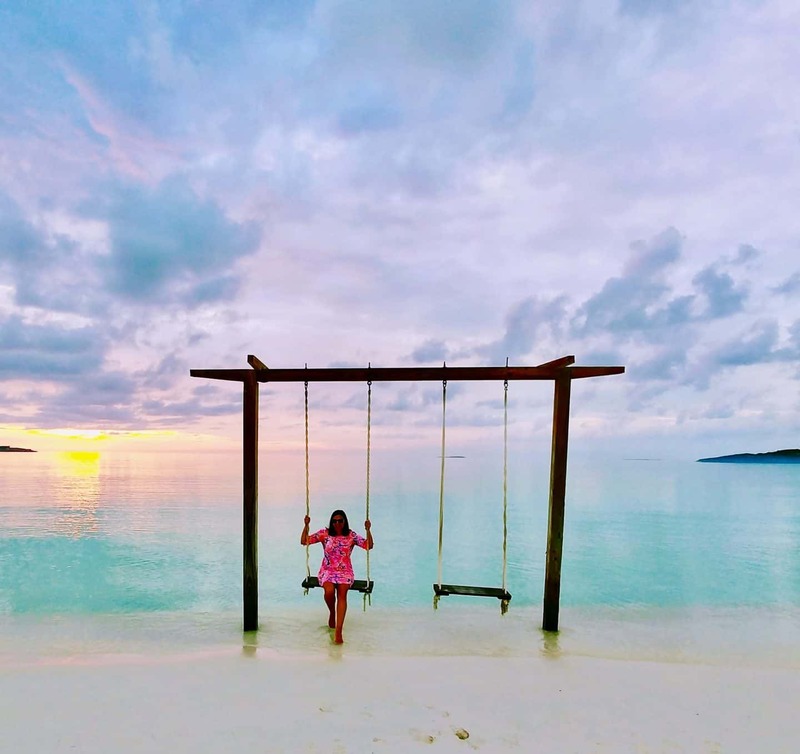 Have you ever traveled to a place so magical, where the waters are aquamarine and sapphire blue and so clear that you will think you are in a swimming pool? Not to mention the unspoiled, powder white sandy beaches. Well, this place does exist, it is The Exumas. The Exumas are a 120-mile-long island chain-within-the-chain of The Bahamas Out Islands. 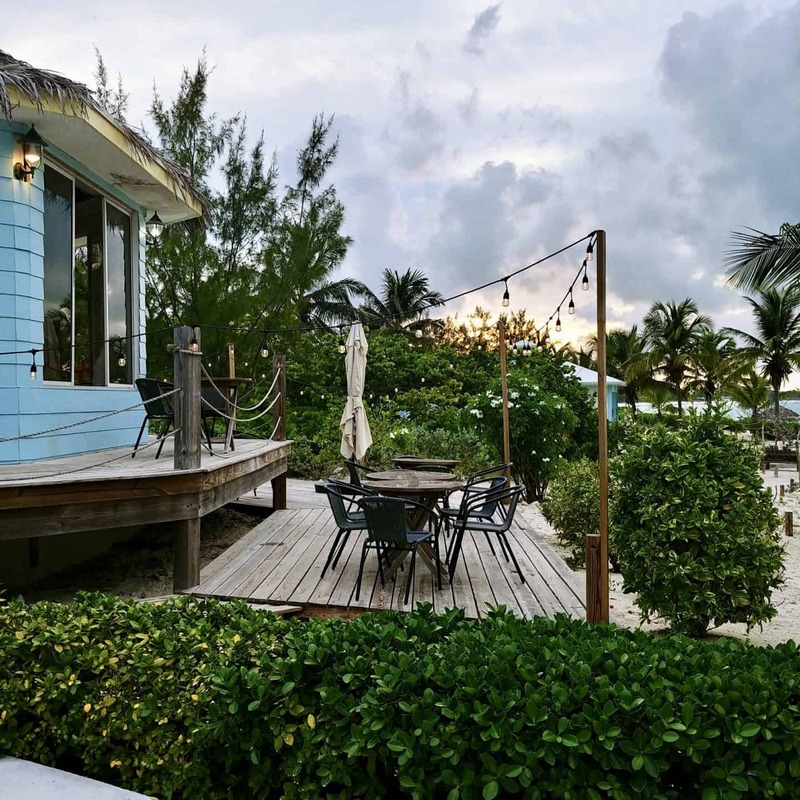 Great Exuma island anchors this archipelago and is where you’ll find the laid-back capital George Town. Exuma Bahamas beaches are jaw-dropping. You will definitely think you are in paradise. 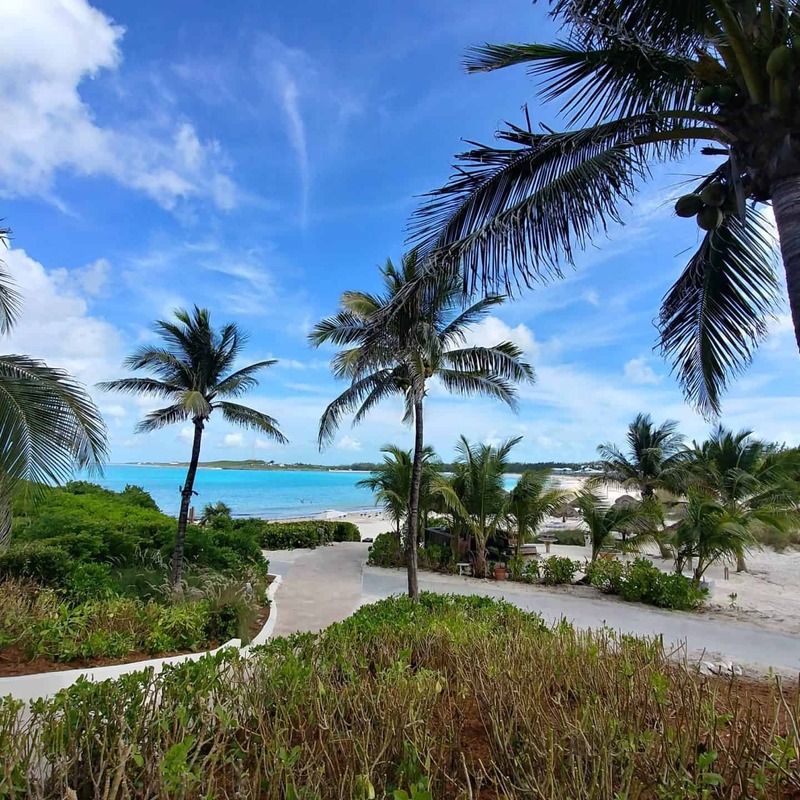 Here is a travel guide with things to do in Exuma that will have you booking your Exuma Bahamas vacation. 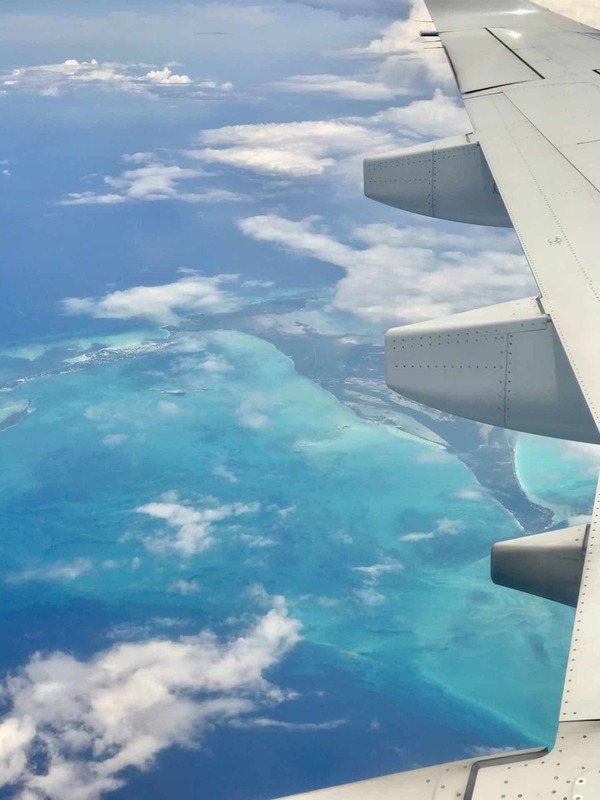 The best way to get to Exuma is through Air Canada Vacations the only Canadian tour operator to offer weekly, year-round service, from Toronto to Great Exuma aboard Air Canada. 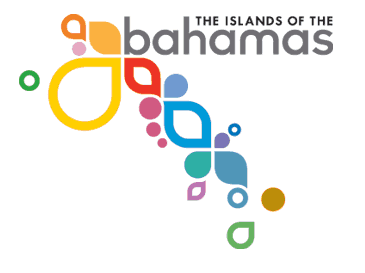 The flights to Exuma are only a 3 hour and 20-minute direct flight from Toronto. 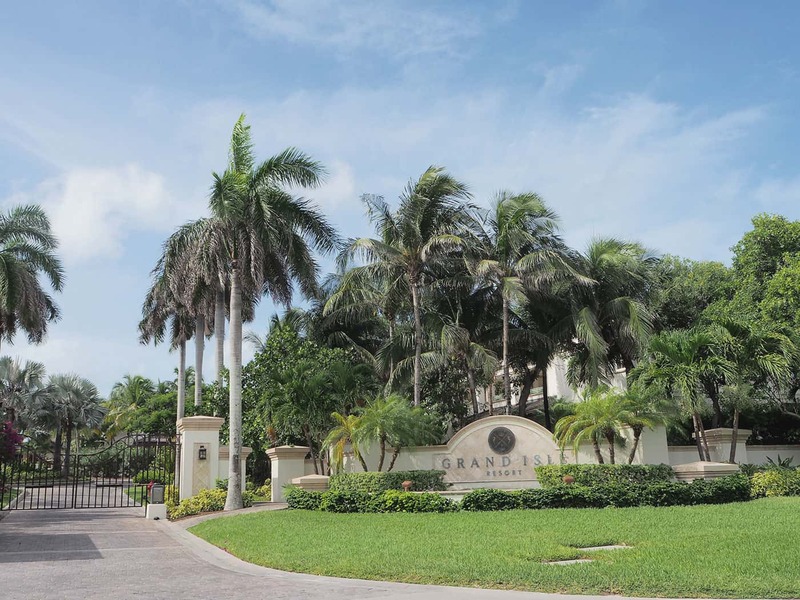 We stayed at the beautiful Grand Isle Resort & Spa during our time in Exuma. 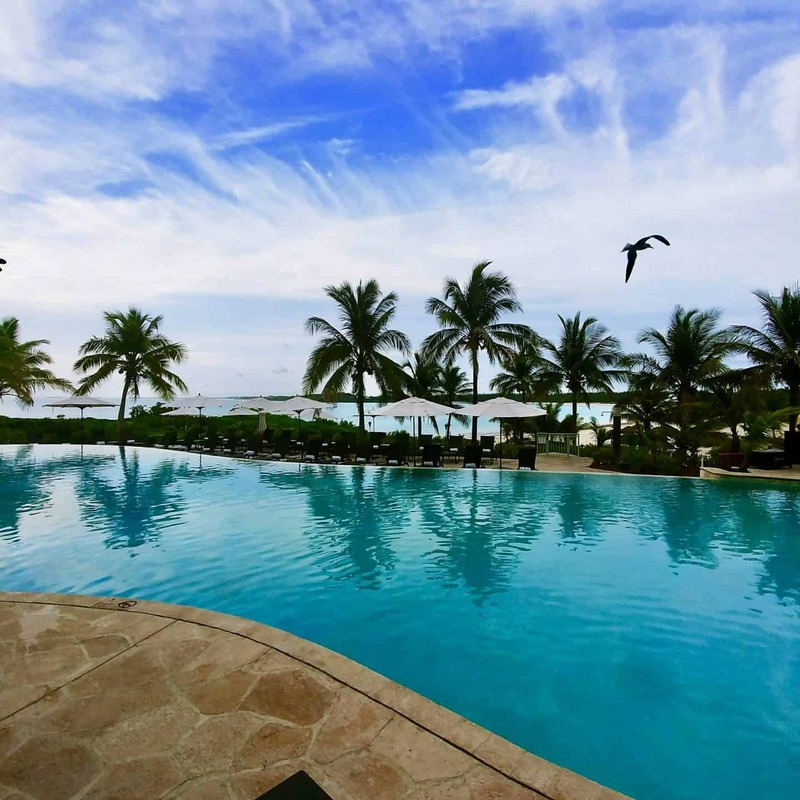 It is one of many wonderful Exuma Bahamas resorts. 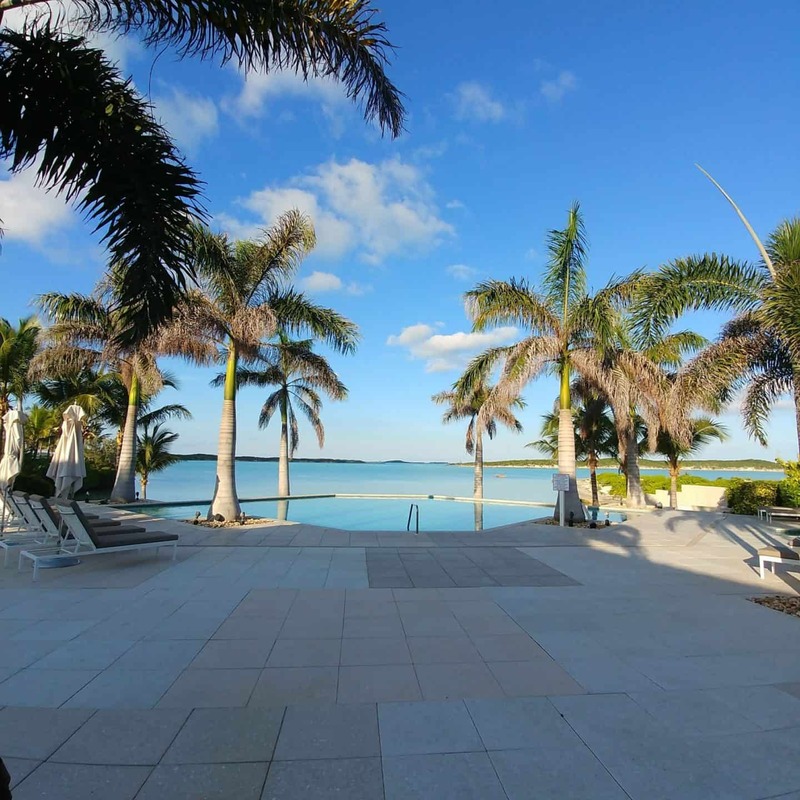 This Exuma resort is a short 15-minute drive from Great Exuma Airport. Grand Isle Resort & Spa sits on a mile-long stretch of ivory beach and sparkling clear waters of Emerald Bay on the island of Great Exuma. Recipient of the coveted AAA Four Diamond Award, this is a family-friendly resort with a laid-back feel with all the amenities of home. 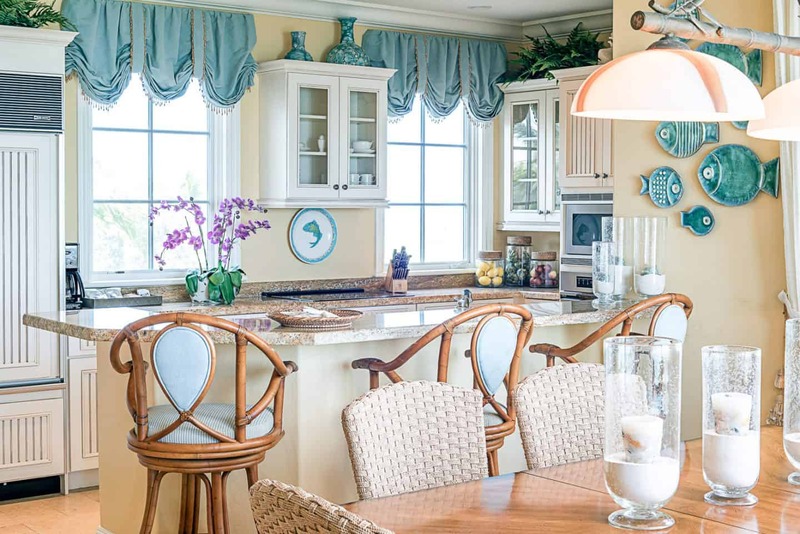 The villas are beautifully furnished and so spacious that you will feel right at home. We stayed in a 3-bedroom, 3-bath luxury Lucayan villa that averages 2,730 square feet. Two bedrooms with en-suite and private marble bathrooms are located on the first floor. 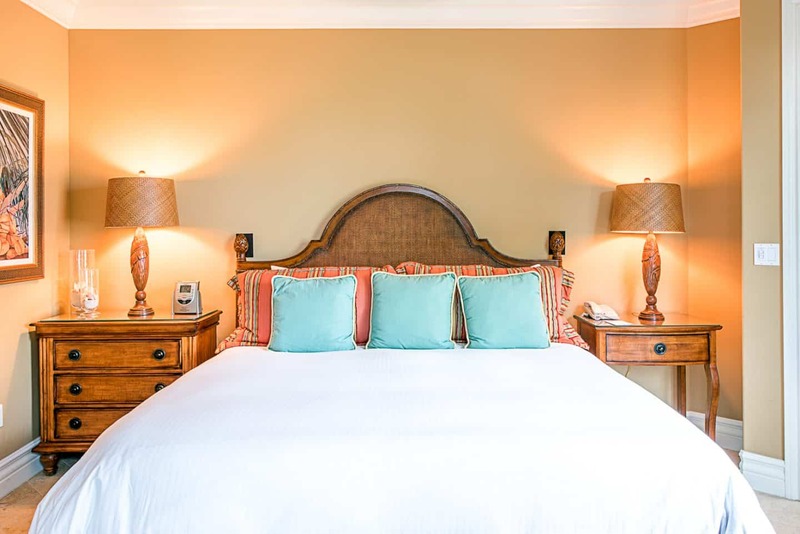 The master bedroom offers a private terrace overlooking the garden, ocean or ocean front. The second floor features the third bedroom with en-suite bath, living room, dining room, and fully appointed gourmet kitchen with granite countertops. The beautifully furnished living room and dining room also lead out to private balconies with spectacular garden and/or ocean views. These villas are perfect for families or groups travelling together. I love the pool that overlooks Emerald Bay Beach – it has the best of both worlds. 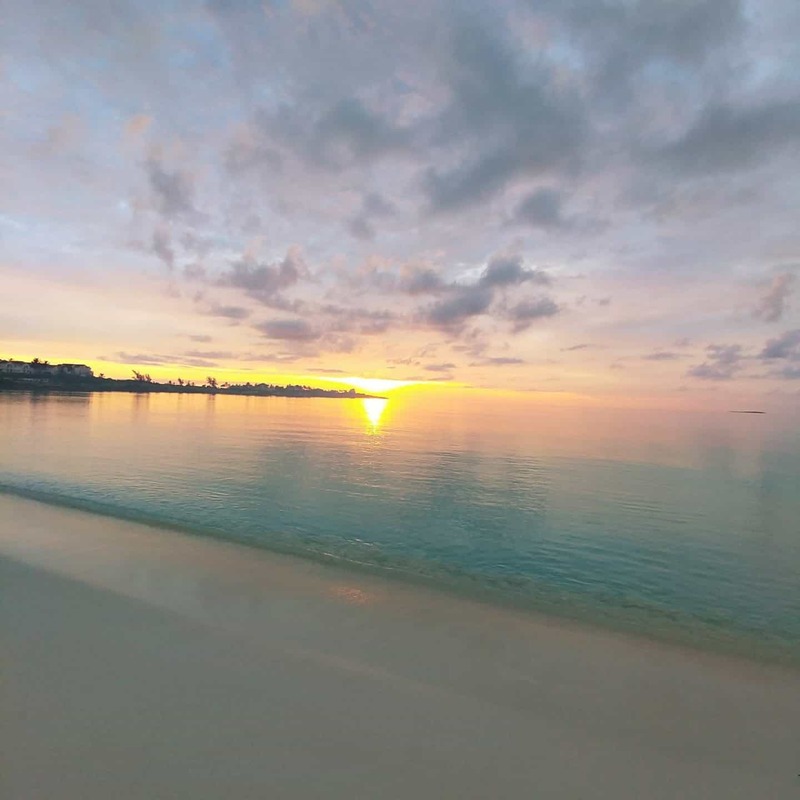 Spend your day lounging by the pool or walk the beautiful Emerald Bay Beach, their very own mile-long beach that is so stunning and wonderful for snorkelling as well. I would highly recommend getting up early to catch the beautiful sunrise. 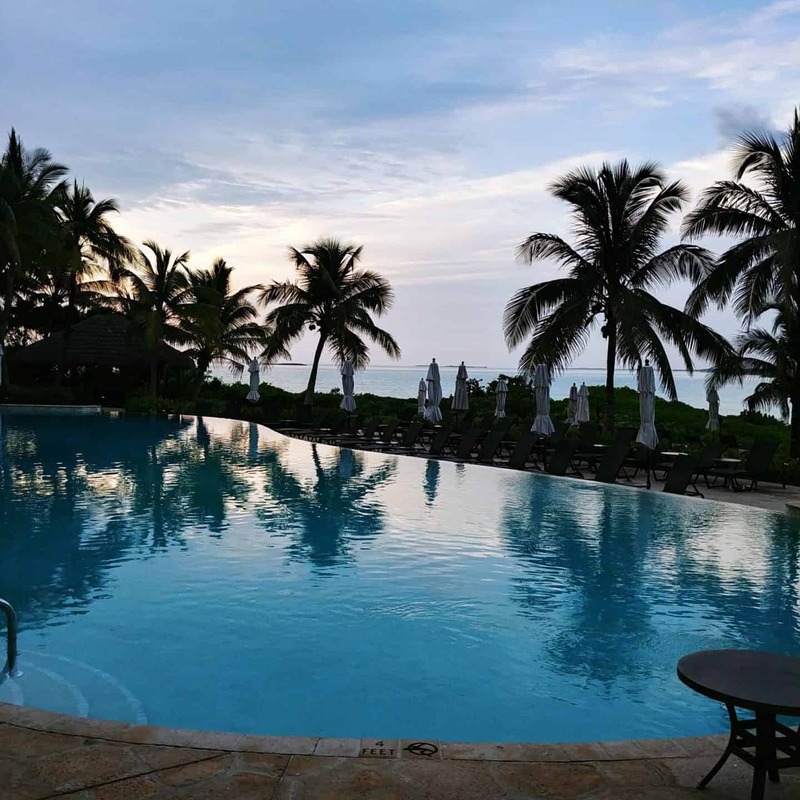 If you love to golf then you are in for a treat at the Emerald Reef Golf Club that is adjacent to Grand Isle Resort & Spa and features an 18-hole championship golf course designed by legendary PGA pro Greg Norman. 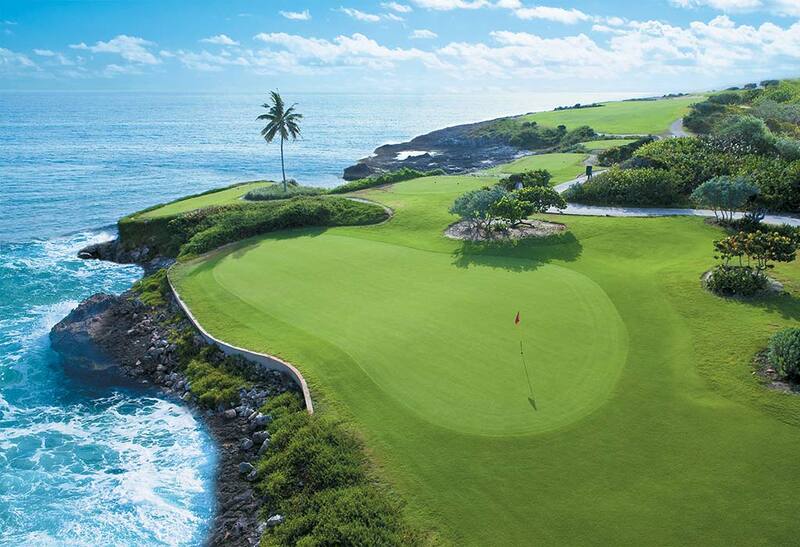 This is the longest course in the Caribbean, that is a challenging par 72 course. It features dramatic fairways with stunning ocean views and a rocky peninsula overlooking the jewel-toned waters. 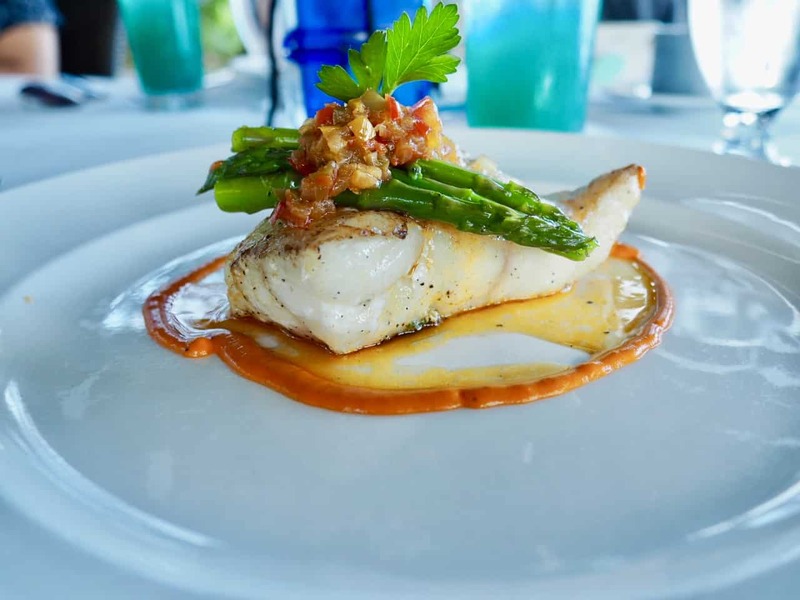 Dining at Grand Isle Resort & Spa offers an authentic taste of the Caribbean, complete with tropical cocktails and fresh, local ingredients. Nothing beats enjoying a meal overlooking the pool and beach. 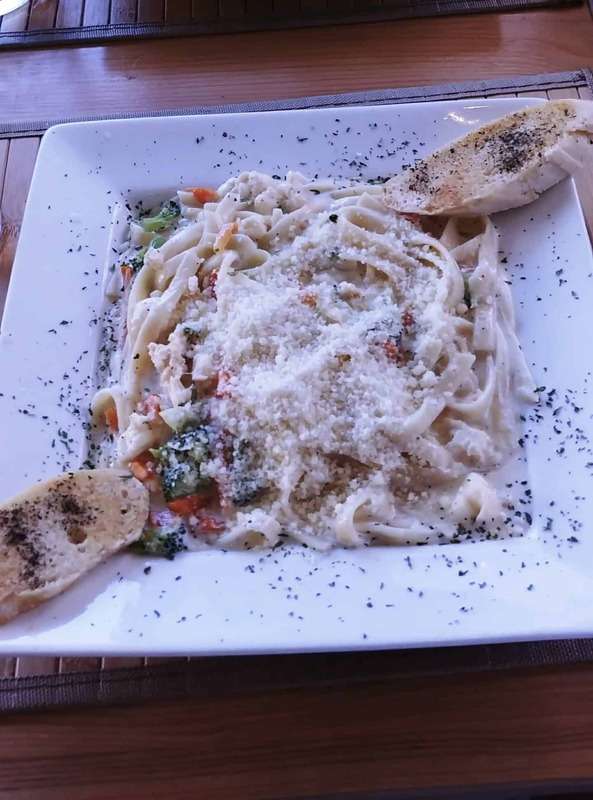 They offer delicious, reasonably priced menu items with weekly events. If you get tired of lounging by the pool or beach, there are some great sights to explore on the island. 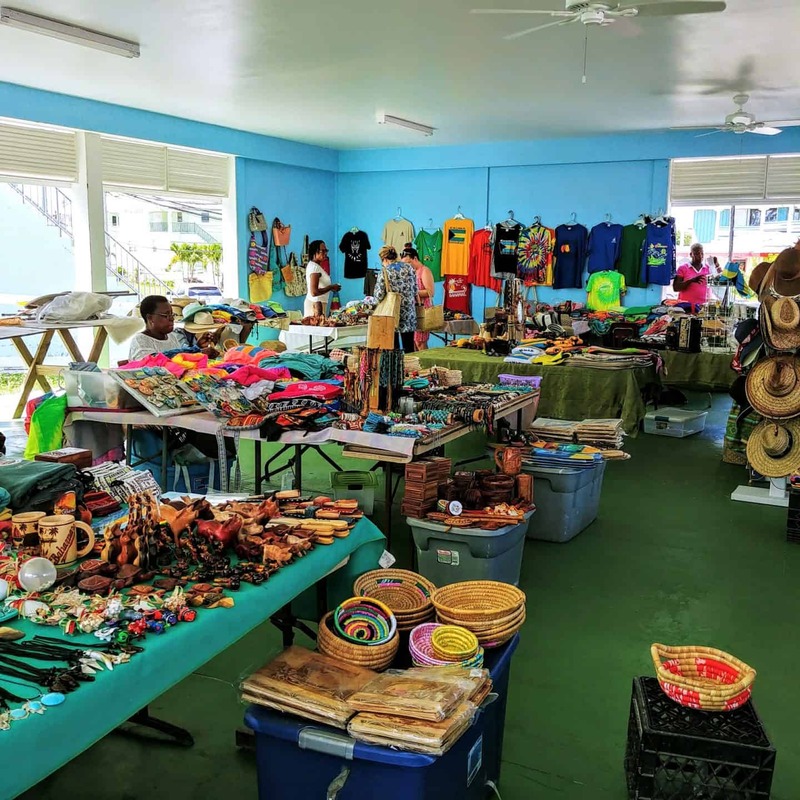 There are so many things to do in Exuma. 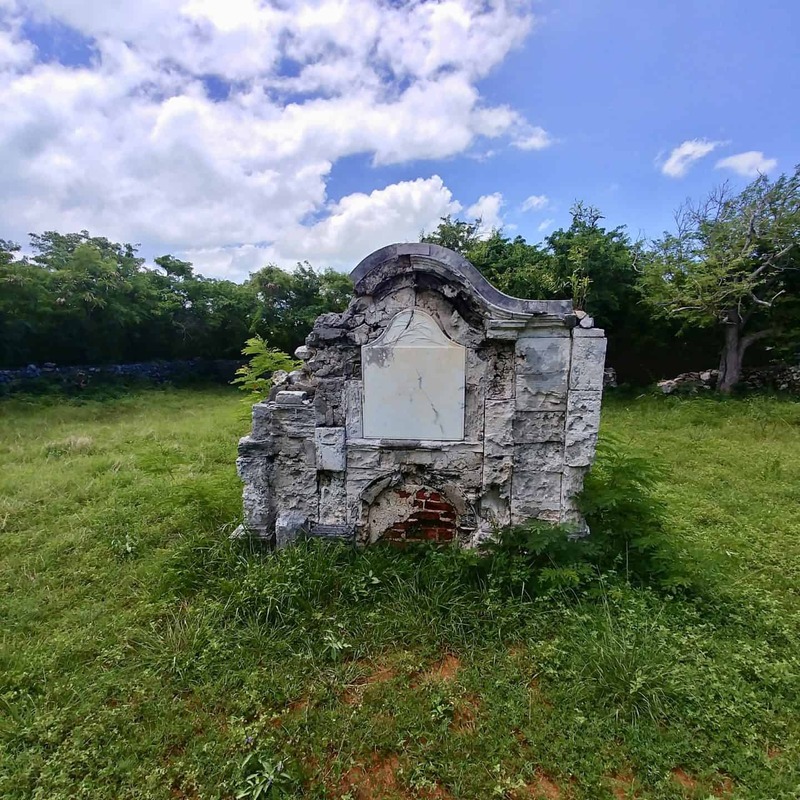 The quiet little village of Rolle Town is one of the five Lord John Rolle Commonage Estates on Exuma. The Commonage Estates are lands that have been passed down to the slaves and cannot be sold. There are three tombs there in the middle of a secluded clearing, which dates back to Loyalist times. 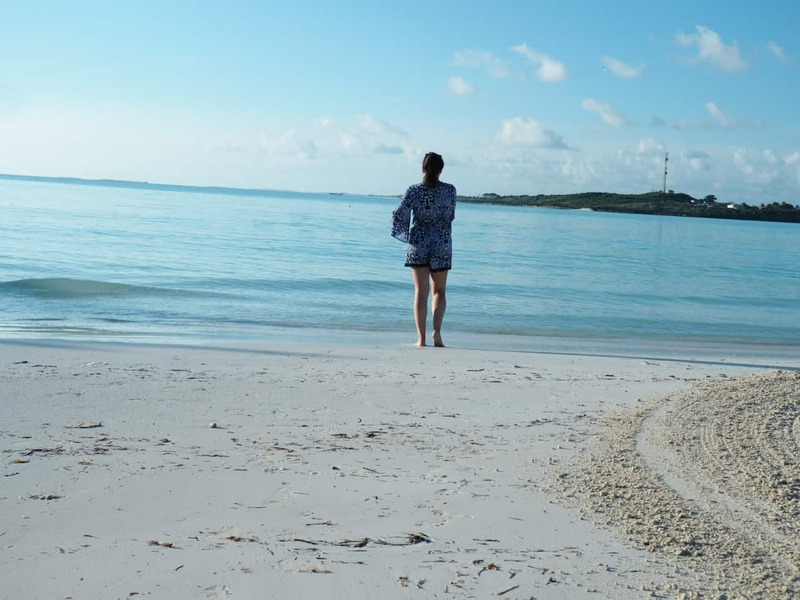 Looking for an amazing Exuma beach? Let me warn you, you will not want to leave. This has to be one of the best beaches I have ever seen. The water is so clear that you will think you are in a swimming pool. The Tropic of Cancer Beach is also known as Pelican Beach. It is a crescent of white-powder sand bordering the translucent blue-green water along the coast of Little Exuma. 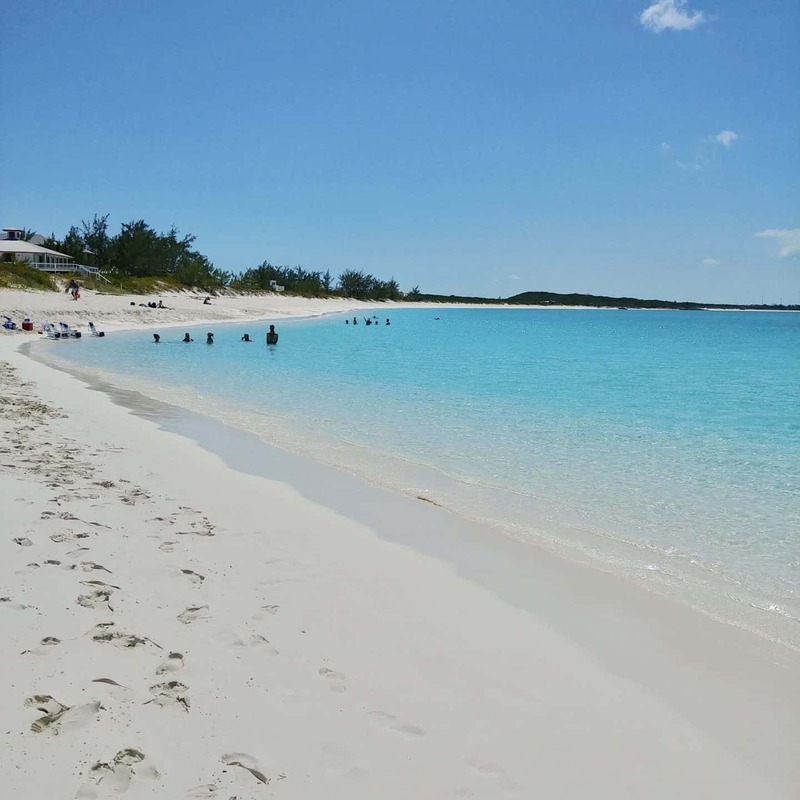 This is the longest beach on the island and also the prettiest in the Exuma chain and you will probably have it all to yourself. Located at 23 26N 75 35W, the beach is named after the meridian line that defines the northern extent of the tropics and crosses right through it. On your visit to the Exumas, this is a must visit. 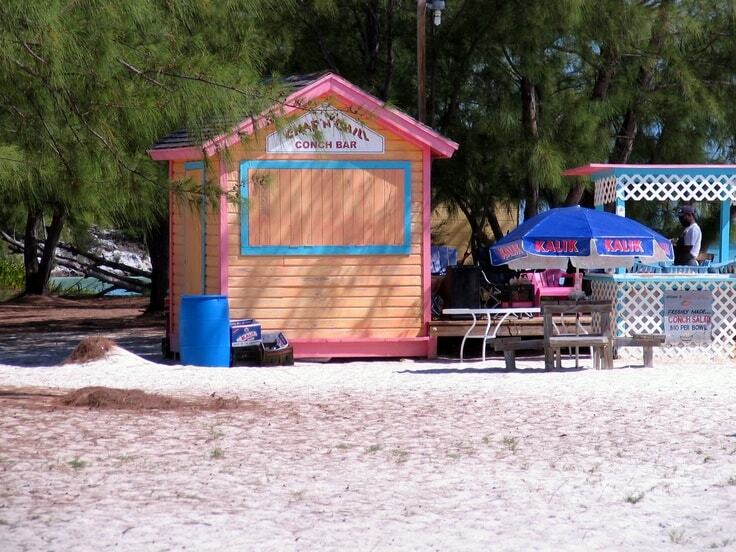 Stocking Island is a small, long, narrow island off the port of Georgetown, Great Exuma Island, Bahamas. It is a short ferry ride from the port of Georgetown. 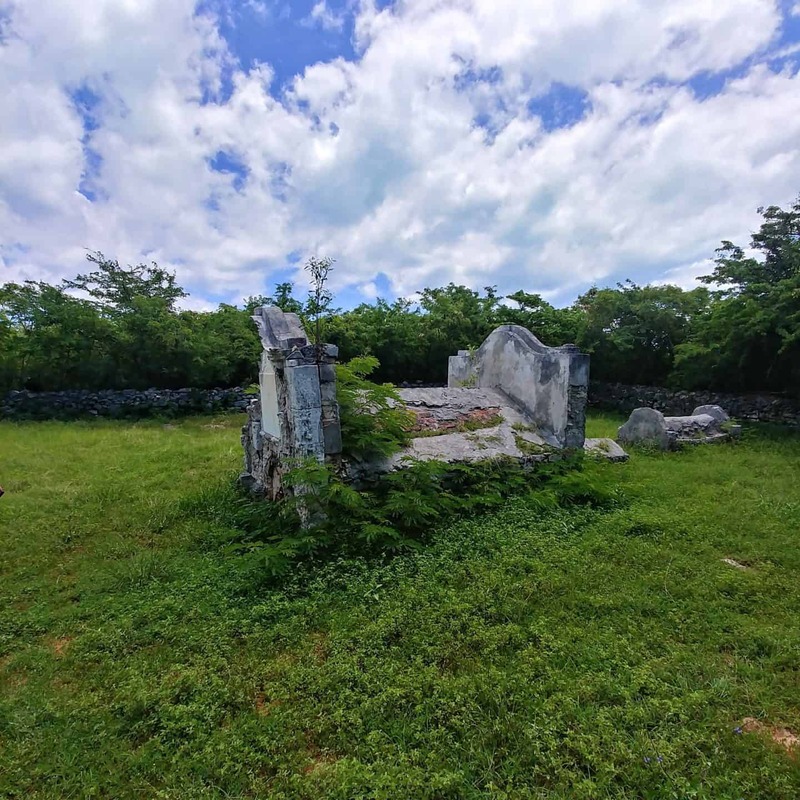 Exploring Stocking Island is one of the best things to do in the Exumas for the day. 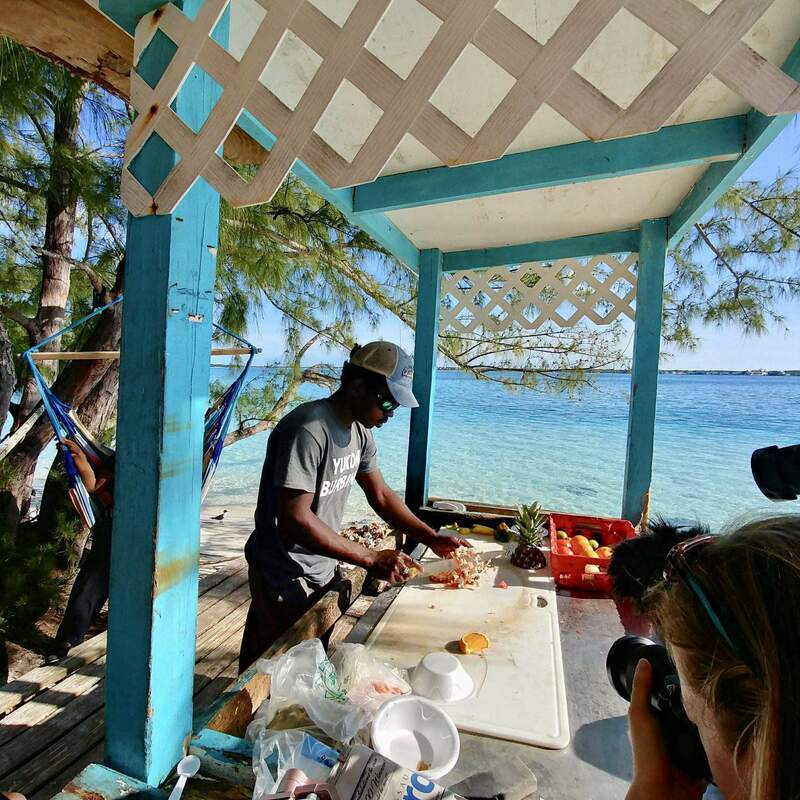 We experienced a Bahamian tradition of how the conch is taken straight from the sea, cracked, and broken out of its natural shell habitat. 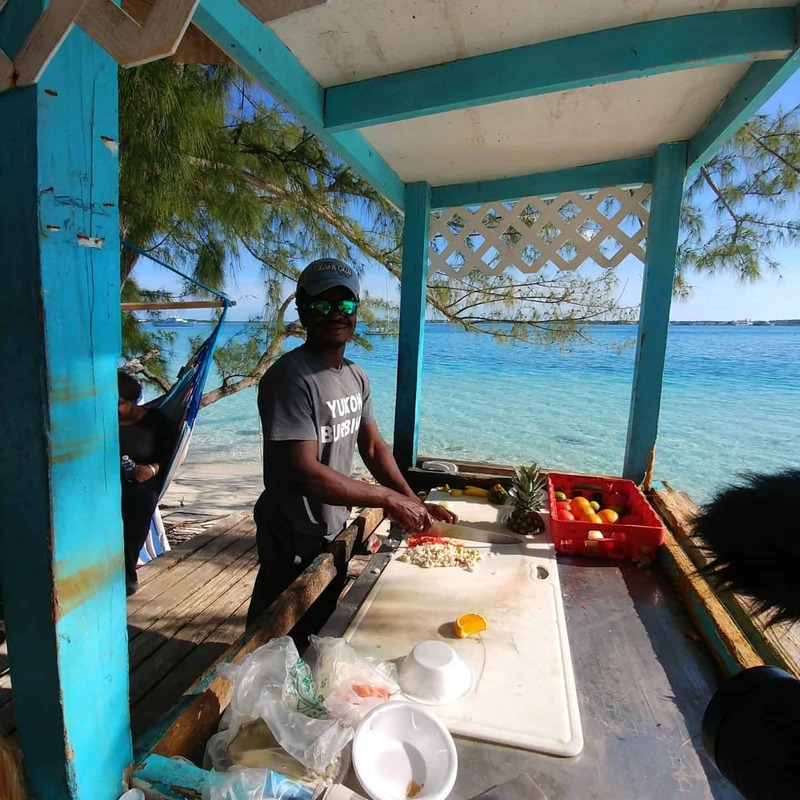 The conch man then skins the conch, washes it, scores it and chops it up and prepares it with locally grown onions, tomatoes, sweet (green) peppers, goat peppers and Bahamian sea salt for the conch salad. It was topped off with a squeeze of fresh lime and orange to tantalize …YUM. It was so fresh and delicious. 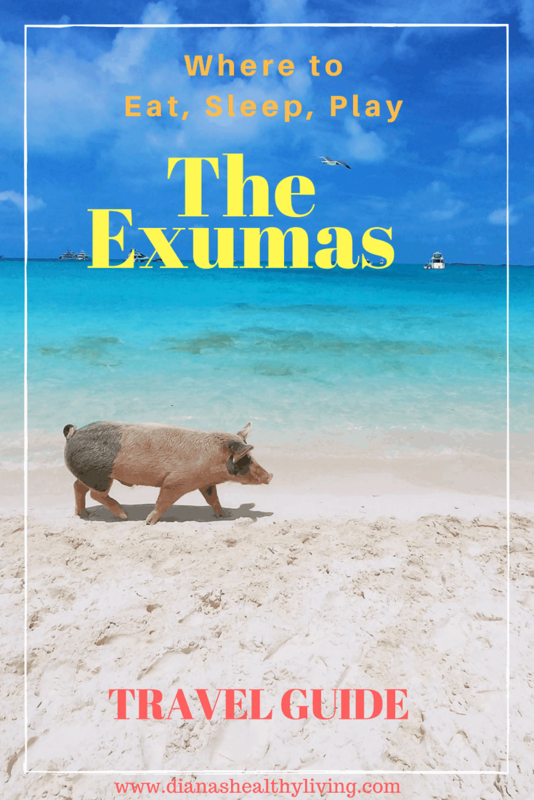 Swim with the Exuma pigs …………this is what you were waiting for. Everyone wants to know if they should book an excursion to swim with the pigs. Yes, you should absolutely book this excursion, you will kick yourself if you don’t. This is one of the best things to do in Exuma. The one question I have been asked is can pigs swim? They absolutely can! 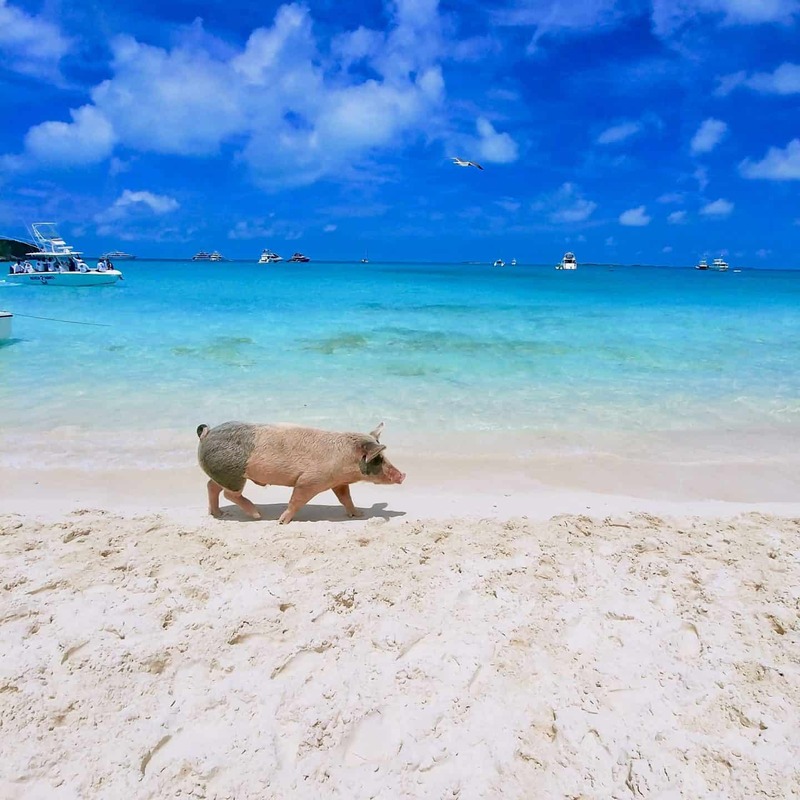 There’s an island in the Bahamas where feral pigs play in the sand, lay in the sun (that’s the life), and swim out to boats to be fed by tourists. 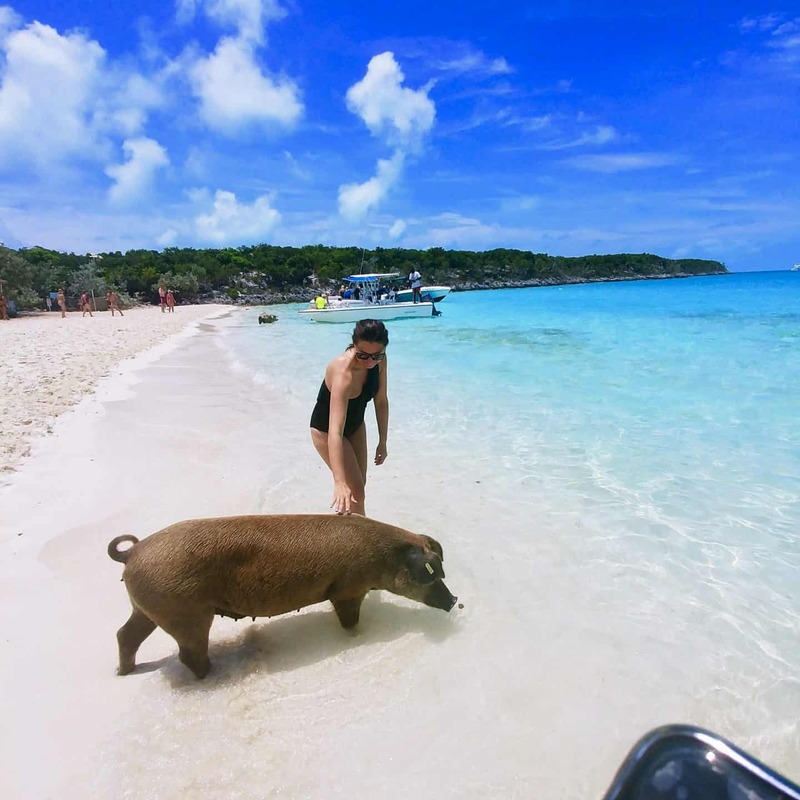 About 20 pigs and piglets live on the uninhabited island of Big Major Cay, in Exuma, the Bahamas, (AKA Pig Island Exuma) on what is called “Pig Beach.” These cute little and not so little pigs have become quite the celebrities. The pigs will be very excited to see you but only for your food. Don’t leave your bag lying around or you might find a snout pickpocketing your bag. 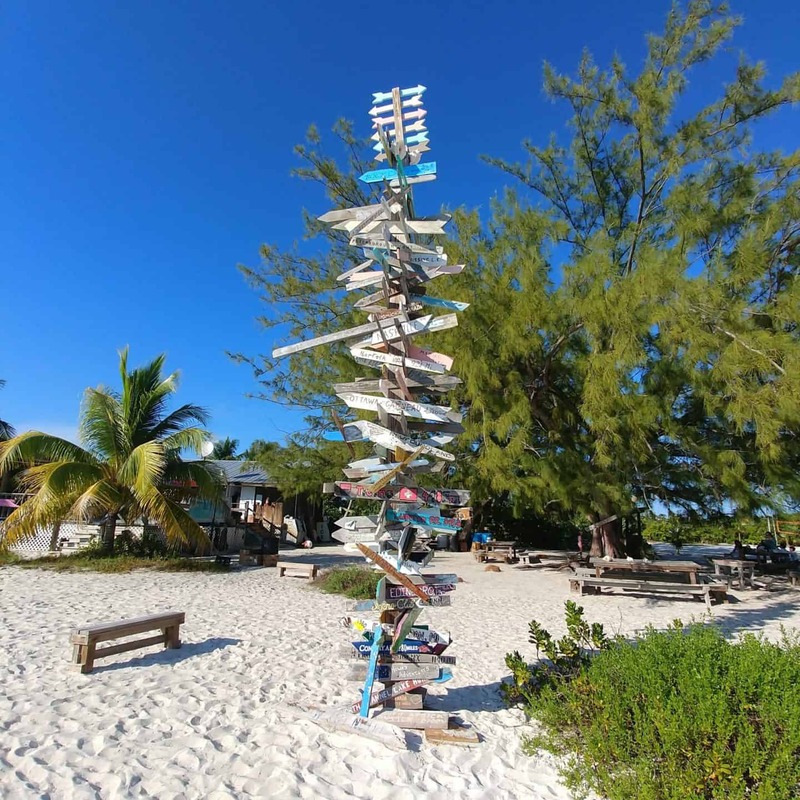 Loved this stop as part of the amazing Exuma water tours. 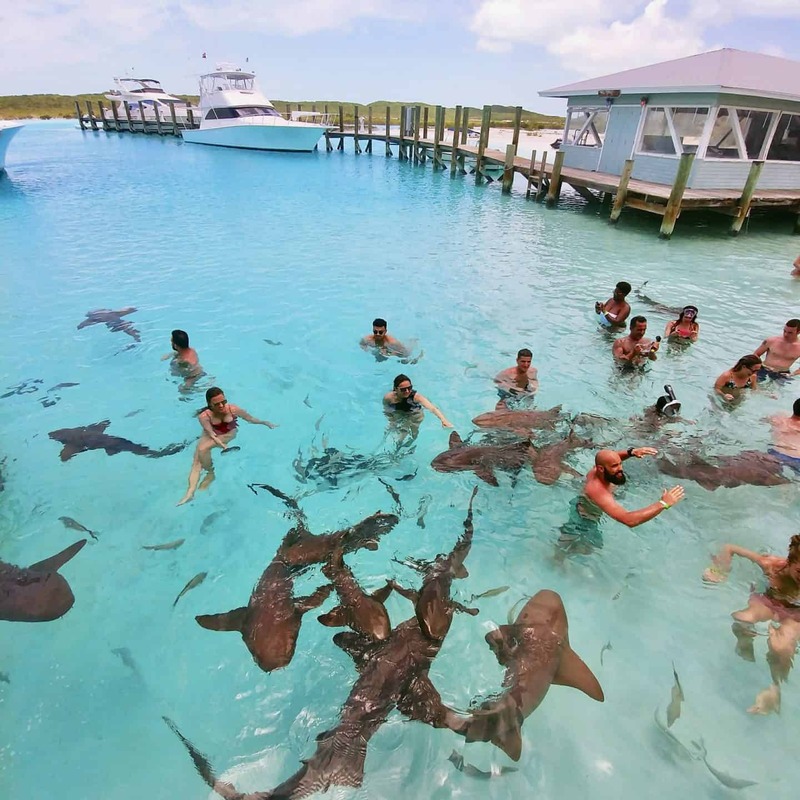 This is one of the most popular Exuma excursions. The only way to reach Pig Beach is by boat. 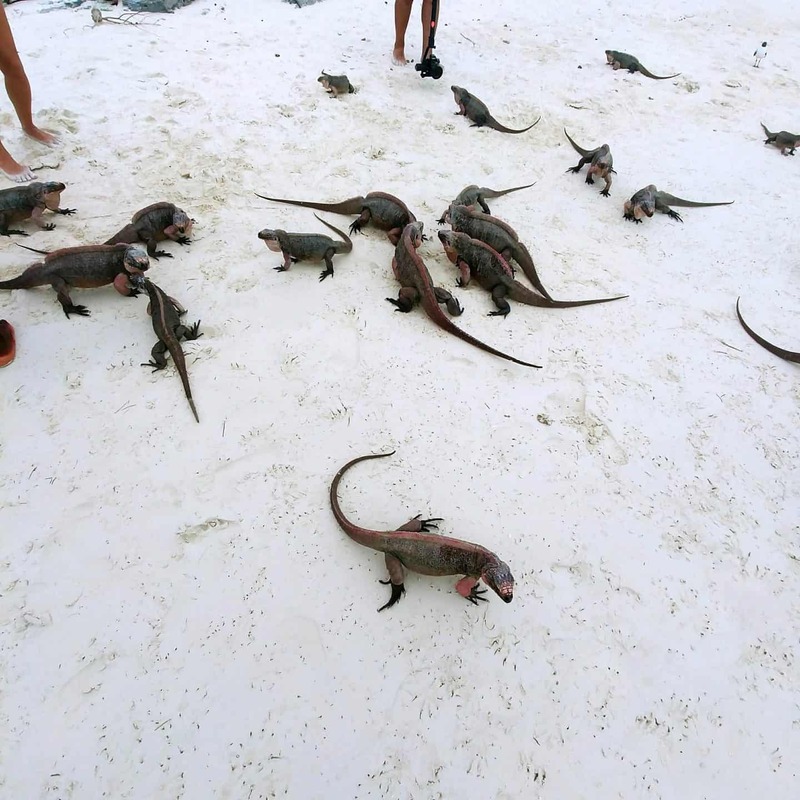 I would highly recommend booking a guided tour full-day tour that includes visiting the pigs, swimming with nurse sharks, meeting iguanas, a sandbar picnic, and snorkelling in the famous Thunderball Grotto (a scenic spot that has been in two James Bond films). Thunderball Grotto in the Bahamas was one of the most exciting snorkelling trips I ever took. Okay, it was the only snorkelling trip I ever took (yes, it was my first time snorkelling) so I have to admit that I was a little scared. Knowing that the James Bond movie Thunderball was filmed here as well as Never Say Never Again, Splash starring Tom Hanks and Into the Blue with Jessica Alba and Paul Walker made it even more exciting. Our tour guide put me at ease as he helped us all get geared up and ready to explore the waters. Besides, after I saw the young kids in the water I knew I had to do it too. Thunderball Grotto doesn’t look like much from the outside so I didn’t know what to expect. We swam our way through an opening and entered a cave. As we swam further into the cave we were greeted by a burst of light that was shining from the above opening. The water was so clear that I could see the colourful fish swimming around me. We were told that we only had approximately 15 minutes to explore the area as it is dangerous to snorkel the grotto at high tide. 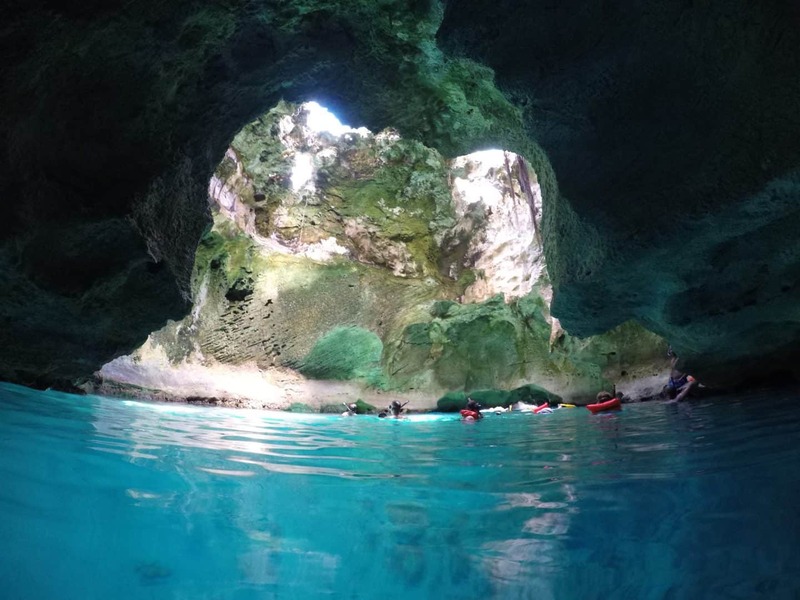 Thunderball Grotto is also another great stop on the Exuma water tours. I would highly recommend this snorkelling excursion, it is spectacular and the fish are so beautiful. 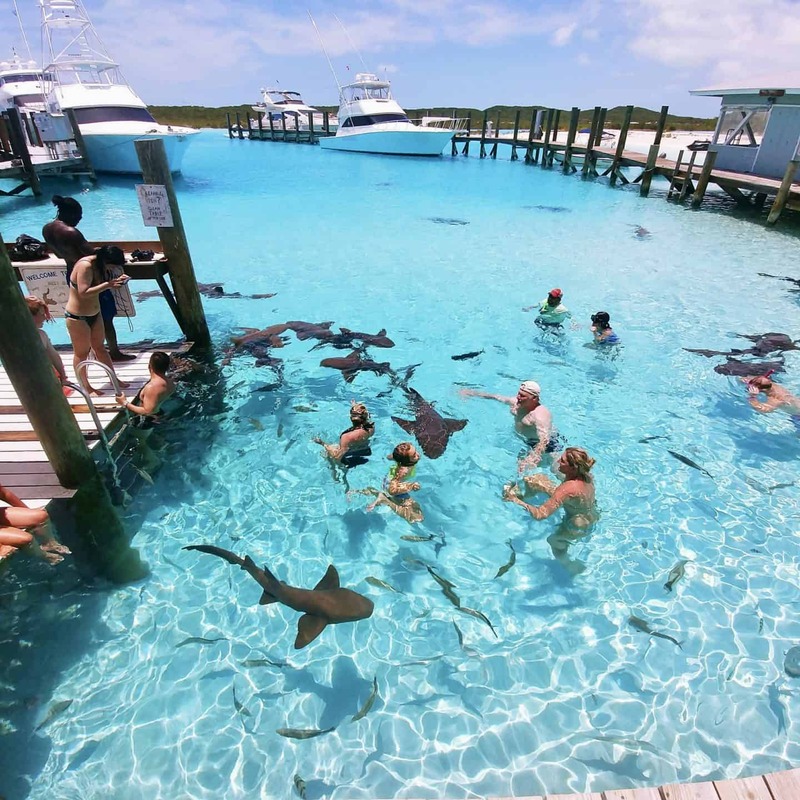 Here is your chance to swim with the Compass Cay sharks. As you pull up to Compass Cay, you will be mesmerized by the crystal clear waters and the boats that are probably bigger than my house. I never thought in a million years that I would jump in the water with sharks. The funny thing is that I didn’t even hesitate, I jumped right in. I find sharks terrifying and fascinating at the same time. These, along with the pigs, are probably the most photographed sharks. The sharks of Compass Cay seemed unfazed as they swam around us. They were only interested in the local that was feeding them by throwing fish bait into the water to attract them. I couldn’t resist, although initially terrified, I had to touch them. Be prepared, they feel like rubbery, wet sandpaper. 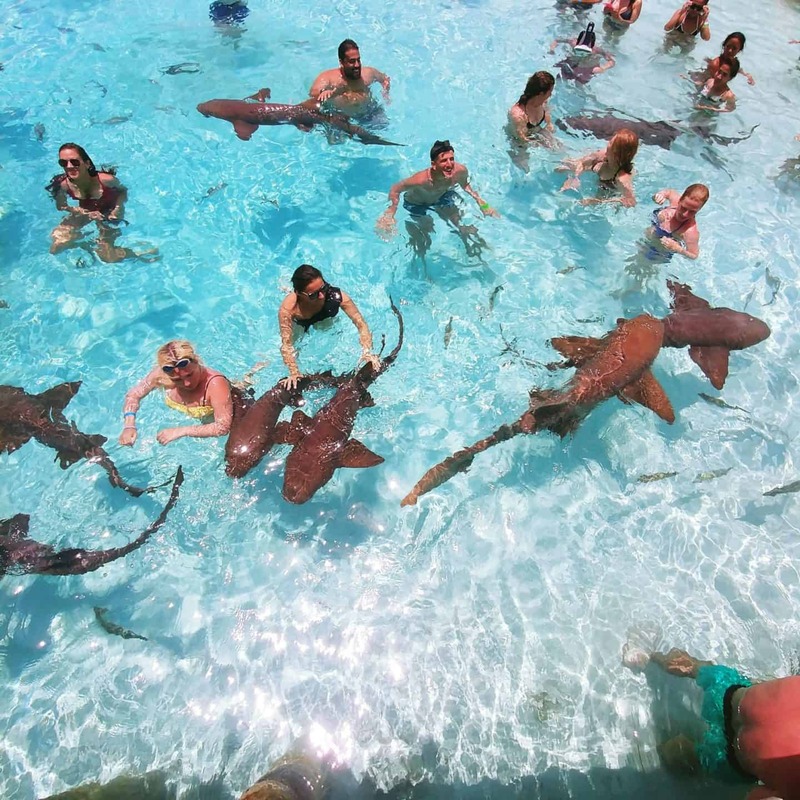 Swimming with nurse sharks in Exuma is definitely one of my most memorable experiences. I think I have a new love for sharks (at least the Nurse Sharks). Nurse sharks are slow-moving bottom-dwellers and are, for the most part, harmless to humans. However, they can get huge—up to 14 feet. Our excursion ended with feeding the iguanas at White Leaf Cay. Just like the pigs, they are waiting for humans to come and feed them. They will, just like the pigs, go through your bag so don’t leave anything lying around. I would recommend packing some grapes for this trip. Simply find a stick and put the grape on the end of the stick to feed them. You can also feed them from the palm of your hand, but I think I trust the stick method more. Ladies, if you have newly polished toes in red or pink you might want to bury them in the sand. We couldn’t figure out why the iguanas were so in love with or feet until one of the tour guides mentioned that they are likely mistaking our pink and red nails for berries. 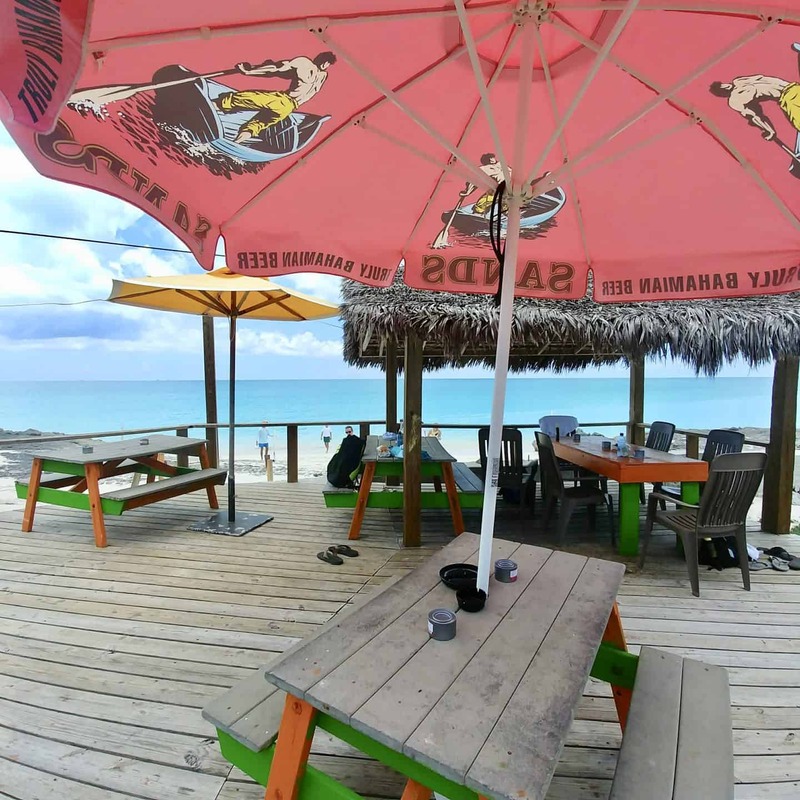 Palapa Grill is located in Grand Isle Resort and Spa and serves breakfast, lunch, and dinner. It has a gorgeous pool and ocean views. They offer so many delicious menu items that I wanted to try them all. 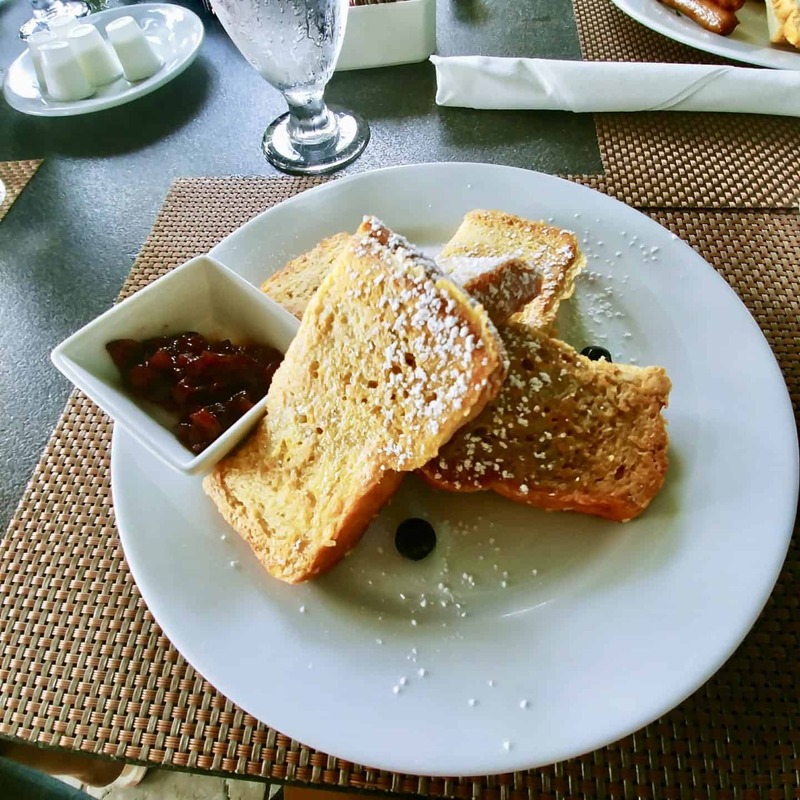 Since the Bahamas is known for their seafood I usually ordered their seafood specials and could not resist the french toast for breakfast. It was delicious and you will not be hungry. 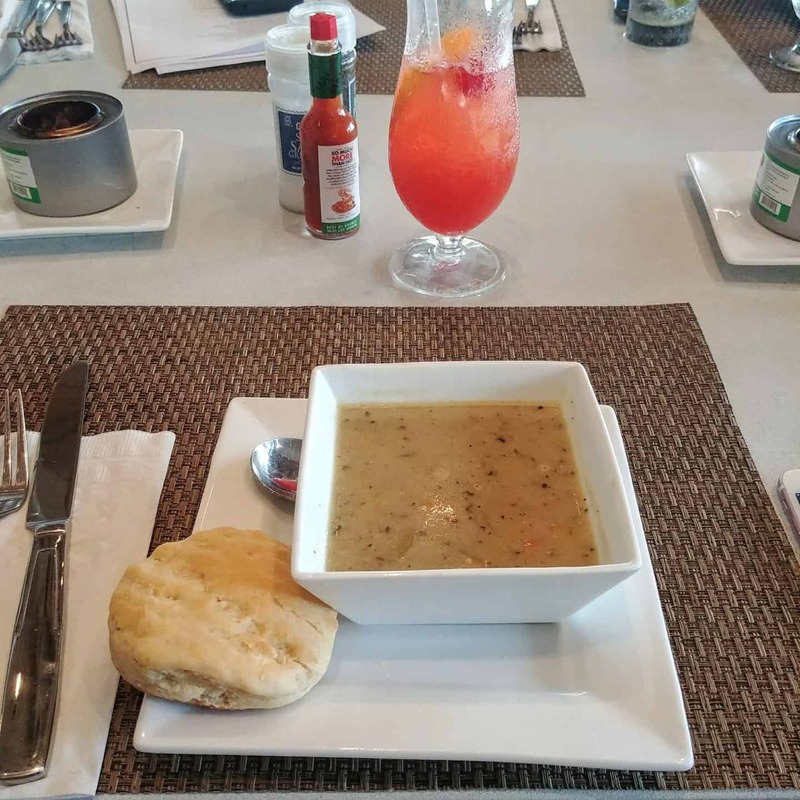 We visited Splash Restaurant at Hideaway Bay one day for breakfast. 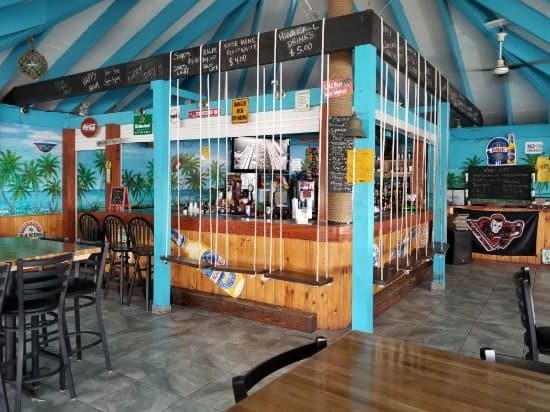 This is such a fun restaurant that is located on the beach and offers pool and waterfront dining. There are also bar swings located at the bar and some humorous signs throughout the restaurant. 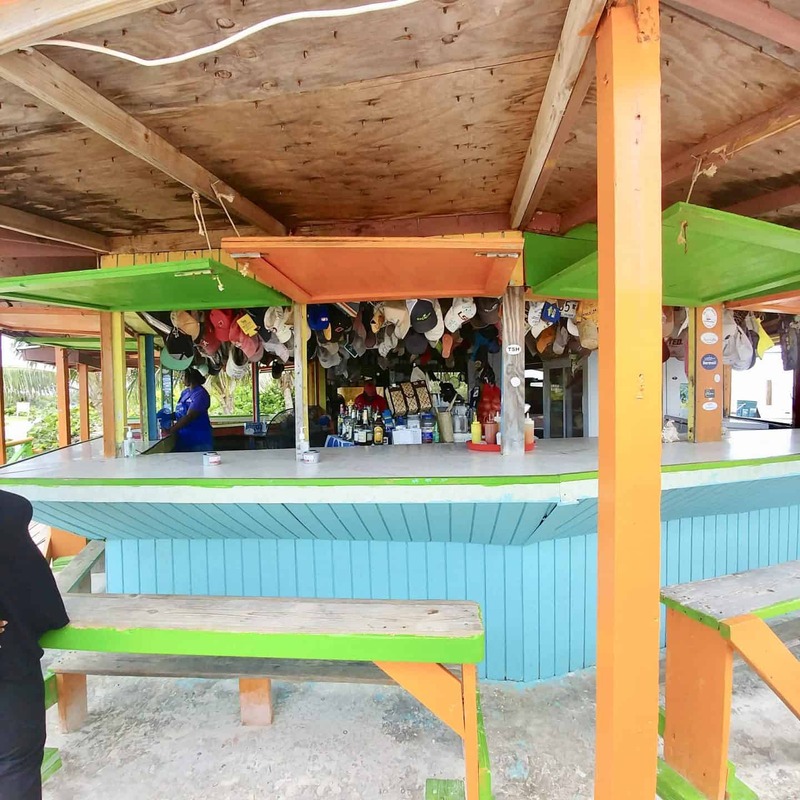 La Fourchette restaurants is a small French restaurant located in Paradise Bay. Not only was the food delicious but we saw one of the most amazing sunsets. We had one of the best Conch Chowders at Rusty Anchor Restaurant and delicious coconut crusted Grouper. The restaurant has incredible views of the pool and ocean. Everything was delicious. Santanna’s Bar and Grill is a bit of a drive from George Town but so worth the trip. This charming roadside gem is a must visit. 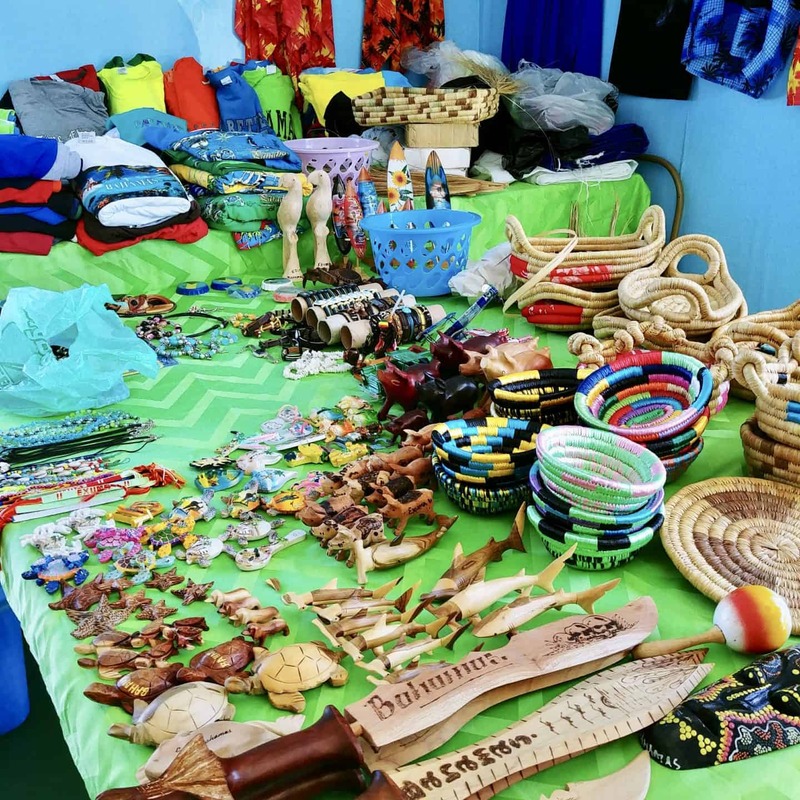 The staff were extremely warm and friendly, the beach views are absolutely amazing. If you are lucky you might see a shark or two swim by. We spotted four lemon shark swimming by as we feasted on lunch. The seafood was absolutely delicious. I had the cracked lobster – basically the best lobster I have ever had! 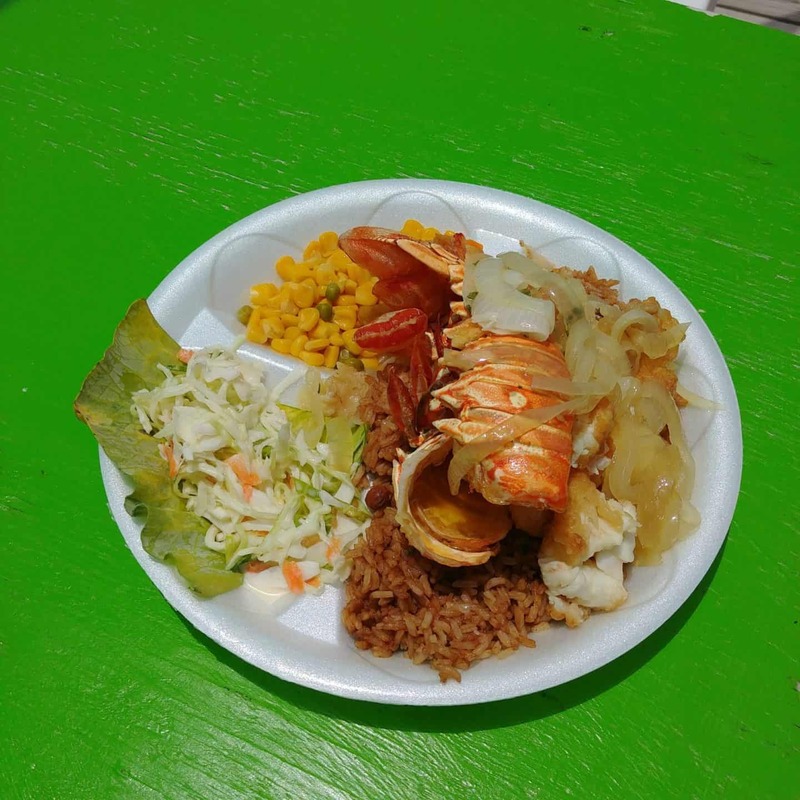 Cracked lobster is lightly battered and fried that comes with sides of local rice, beans, and delicious grilled onions. Next door is Mom’s Bakery. You must stop in and try the delicious rum cake (mom is very generous with the rum), the bread is so good that we devoured the entire loaf and the coconut macarons couldn’t be any fresher as mom was grating the fresh coconut herself. 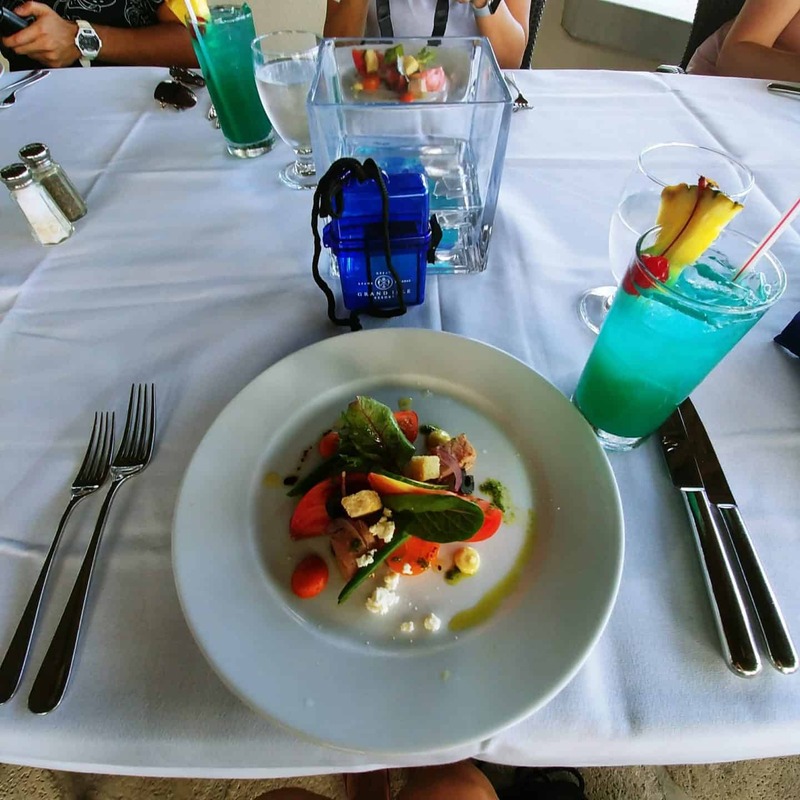 You will taste the best conch salad made fresh for you right before your eyes. There are also friendly stingrays that swim up close to shore that are easy to hand feed. Pack a swimsuit – lots of swimsuits. Keep your wardrobe simple. Shorts, t-shirts and loose dresses. The Exumas Bahamas was a memorable getaway that I will always remember and recommend highly to friends and family. A big thank you to Air Canada Vacations and the Bahamas Tourism Board for a memorable trip. I’ve never been but after seeing these pictures I really wanna go! I hope you get to go and experience all the beauty. Even though swimming with sharks would scare me Diana, I gotta do it. Plus after that, feeding iguanas would be a walk in the park. As would hanging out with pigs on the beach. I love this place for so many reasons and I have yet to visit LOL. Fabulous post. I was more scared snorkeling than swimming with the sharks……I have no idea why! You must try it or at least go and see them. Wow, your photos are amazing! It looks like heaven there! Thank you so much – it was so amazing.